Jordan Sandor is an agent with the CIA. He is a former agent when the series begins, having paid his dues for many years. After several events left him frustrated and disgusted, he quit to take up something a lot less volatile and perhaps even a bit more honorable, that of being a journalist and writer. With the opening of the first recorded adventure, what started as a journalistic mission soon throws him back into the world of counter-terrorism up against an old foe. By no means a young man any more, Sandor has stayed in very good shape over the years, his form still lean and trim and more limber than he has a right to expect. His short wavy brown hair has not yet been filled with gray though that color is starting to make appearances. He has a tanned complexion and his face remains handsome despite an uneven nose. Sandor worked with the Agency during the First Gulf War while in the military and stayed with them when that conflict ended. The events that finally convinced him to leave were watching his supervisor, a man named Traiman, turn traitor and use his position to go independent and wealthy, costing the lives of good men in the progress, and an action in Panama where an undercover team that Sandor was leading was left to the fates when political attitudes changed and a mission was suddenly scrubbed. Having a bitter taste in his mouth, he quit. Still, being an agent is what Sandor is best at and when the situations in the first book come up, he slides back into his old form quite easily and, when that danger is over, he realizes that he is destined to stay in the job. “What else am I going to do?” he muses to his boss but even more so to himself. Luckily for Sandor and those who work with him, he is very good at it. 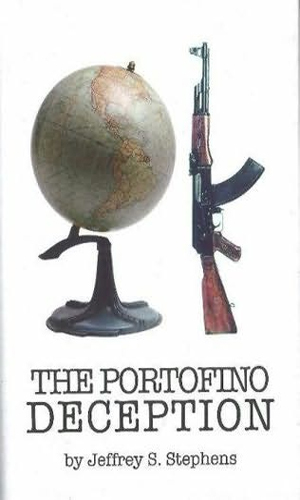 Note: the first book, The Portofino Deception, was copyright 2007. 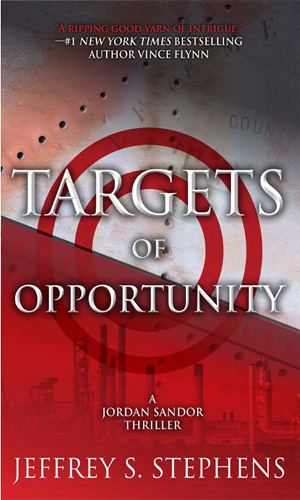 It was renamed two years later to Targets of Deception when it was re-released, making it appear as though they were different books. This changing of titles often happens when crossing the pond or when considerable time has elapsed between releases. This close together, it is a bit confusing to readers though understandable from a marketing viewpoint. Jordan Sandor is called to a CIA safe house to oversee the protection of an Iranian Guard member who has information about a terrorist attack planned by an amalgam of Middle East extremists, a South American leader, and North Korea. Unfortunately, he has no idea when or where. The death of a close friend by a noted terrorist puts Jordan Sandor on the killer's trail, determined to end the man, period. This trail, though, takes him about the planet as the depth of the man's plans prove larger than first thought. 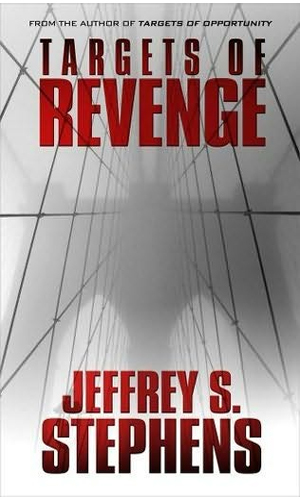 An explosion in a court room that kills several and almost kills Jordan Sandor sets him off on a new mission to find who is behind it and why. This quest will take him around to the world and back again and will require he ask for help from old friends and lovers. When I finished the first book, having enjoyed it tremendously, I eagerly sought out the next that I knew existed. Usually I would have had it in hand before starting the first but not this time. My frustration was tremendous when I learned that the next book was not yet published. That is how enjoyable the first book was. The second is now out and I have enjoyed returning to Sandor’s world and watching him take on bad guys with a totally believable but still impressive manner. Unfortunately, it is only just now out which means that it will be some time before another book is forthcoming. 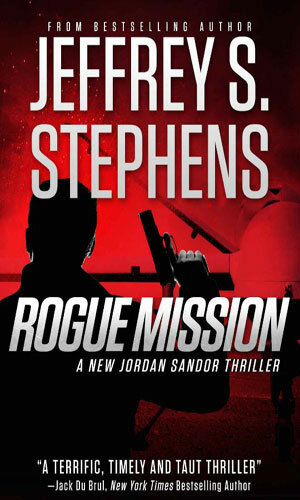 Mr. Stephens, you have created an excellent character in Jordan Sandor and I hope you keep me riveted with many more adventures.